As we head into the Lenten season, let’s focus our hearts on Jesus: The Trial, The Cross, The Resurrection. 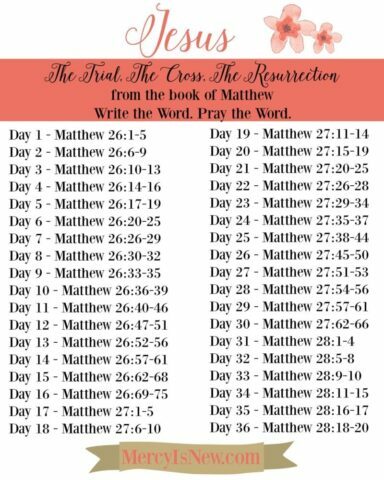 Let’s spend 40 days looking at the last days of Jesus by writing the Word and praying the Word. Observing Lent isn’t exclusive to certain denominations or faiths. I choose to spend the time leading up to Easter by focusing my heart on the cross and resurrection of Christ! Spending more time in prayer and reflection, asking God to search my heart and show me any hidden sins, asking Him to cleanse me. Repentance and grace are the beautiful gifts God gives us during Lent. 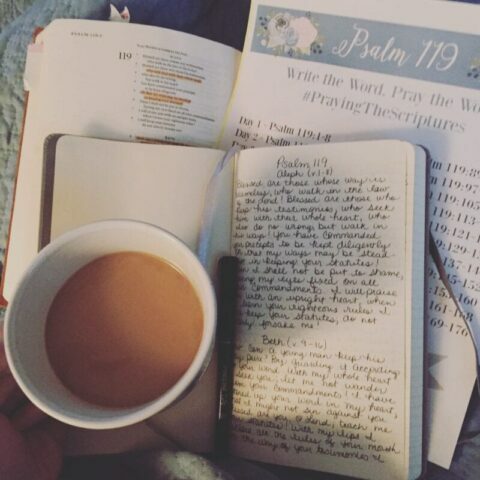 Journal the Word. Write the Word. Pray the Word. Each day we will write a small portion of the Matthew passage that tells us of Jesus’ last days. 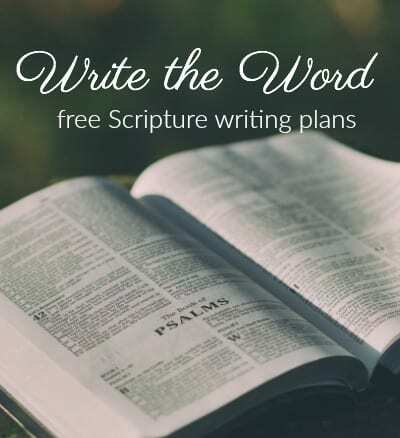 You may choose to journal through these verses in a notebook or in your journaling Bible! Or you can just write them out, praying them as you go! We will ask God for understanding, for guidance for His Holy Spirit to teach us more of Jesus as we study this passage. Writing the Word and praying the Word help to engrain the very words of God onto our hearts. As we write, we can pray, asking for the eyes of our hearts to be opened to what God would show us about Himself through this Lenten season. 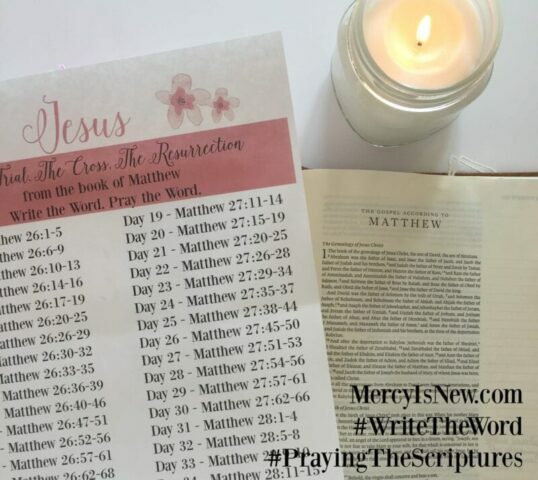 I hope you’ll join me on Instagram with the hashtags #WriteTheWord and #PrayingTheScriptures through these last few chapters of Matthew. If you would like a short devotional, a prayer and journaling pages for each of the next 40 days of Lent, I encourage you to look at Wait only Upon God. Learn along with me what it means to wait only on Him, not on our circumstances to change, not on someone else to change, but to wait in HOPE on Christ alone. This ebook is 7.99, the print copy is on Amazon for 11.99. 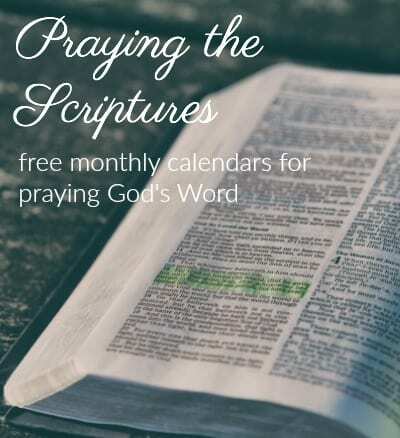 I have been collecting ideas I’ve found online for the past several years, books, devotions, ideas for activities and ways to observe Lent…there are some awesome ideas out there! I hope you will take a look at these resources. Decluttering 40 bags in 40 days? 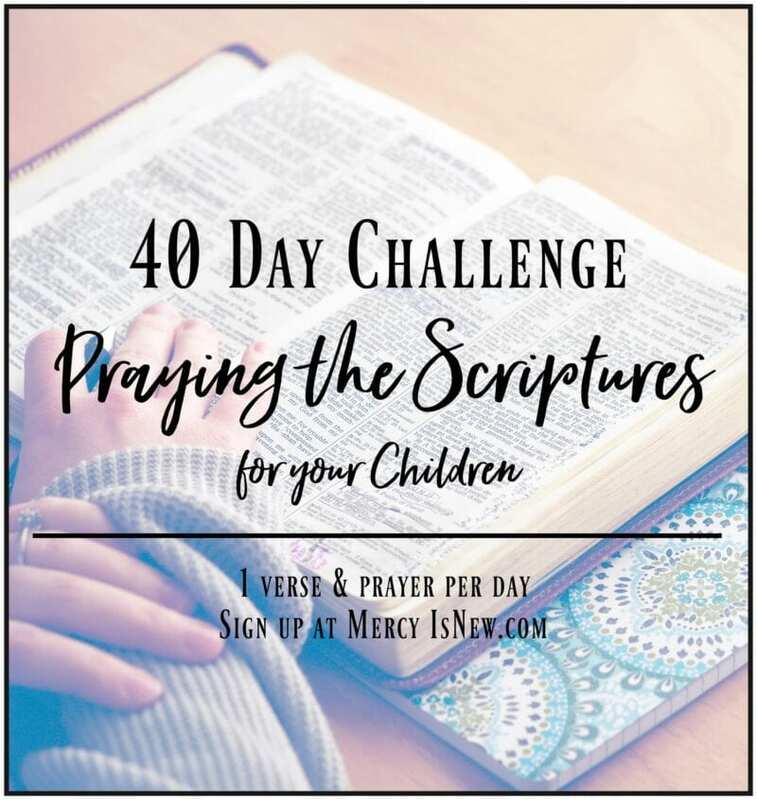 Join me on Pinterest where I pin lots of great Christ-Centered ideas for families to use during the Lenten and Easter season! 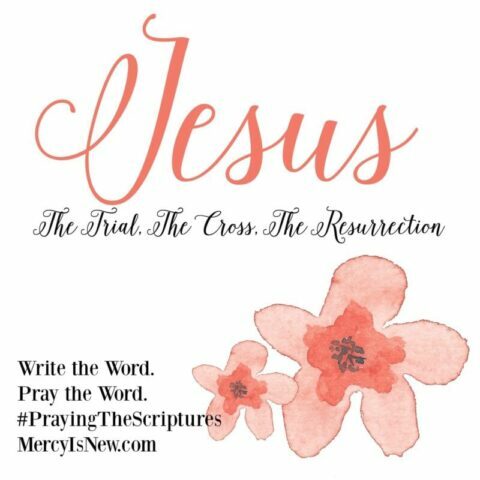 Follow His Mercy is New’s board Easter ~ Christ Centered Ideas & Other Easter Fun on Pinterest. « Trying to Get Your Kids to Read More?